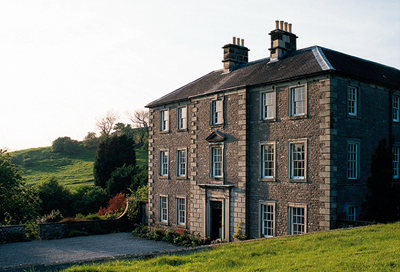 Set high above the Manifold Valley with a drive that winds through the Peak District National Park, Casterne Hall was rebuilt in 1730, but incorporates Roman ruins in its foundations. Inside, the panelled rooms reflect the character of the house and its history-the owner’s family has lived here since the 16th century-and offer glorious views. 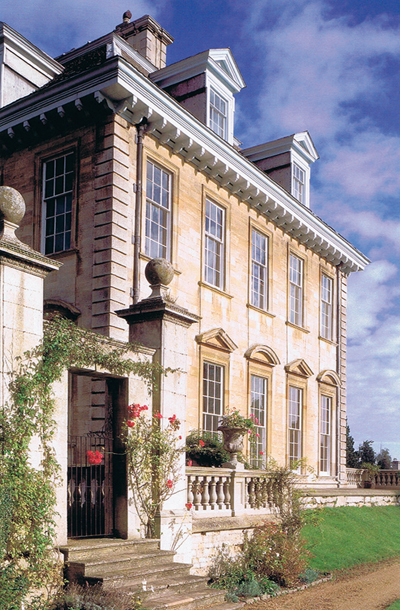 With the ‘perfect layout for a family house’, according to the owners, Eyford House was commissioned in 1911 from Guy Dawber in the style of a late-17th-century provincial Baroque country house. The Arts-and-Crafts garden-with its walled area, two lakes and holy well-is also to Dawber’s design. The only new house in the mix, North Hay was built in 2004-07 on the edge of 180 acres of woodland that had once been managed by the present owner’s grandfather (oak from the wood was used to build tables and dressers for the house). The grounds include a kitchen garden, swimming pool and the most beautiful trees. 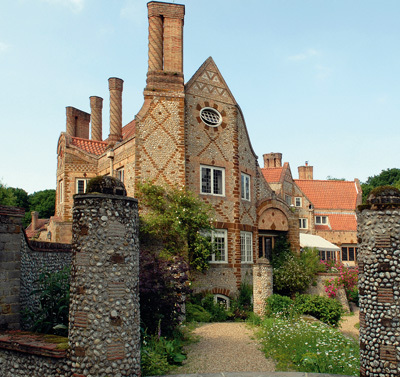 Voewood’s most striking feature is its Arts-and-Crafts brickwork façade (Pevsner describes as ‘a violently idiosyncratic house reminiscent of Gaudi’s work in Barcelona’). After 70 years’ use as rest and convalescence homes, the interiors have undergone a sensitive restoration under the current owner. The grounds, which include a rose garden and a walled garden, were laid out when the house was built and are Grade I listed. 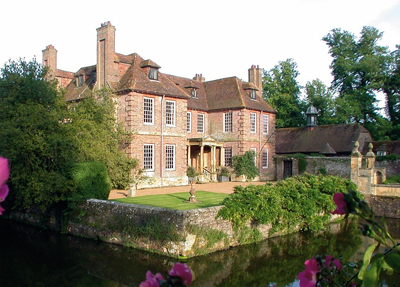 Walcot Hall, a Grade I-listed Carolean house, stands in 20 acres of landscaped gardens with many stone follies and lily ponds and a Grade II-listed stableyard.  It overlooks 120 acres of wooded parkland, and a double avenue of lime trees leads from the house. There is some mystery over the actual architect, but the house, which dates from 1678, shows the influence of John Webb. 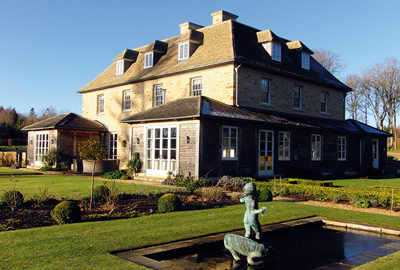 Owned by the same family since 1962, Walcot is next door to Burghley House and close to the Georgian conservation town of Stamford. Dating from 1470, Elsing Hall underwent a major renovation in 2007. The house which includes an adjacent chapel is fully moated and set in a small park that includes a wild meadow, bog and autumn garden, walled garden and a cricket pitch used by the village team. 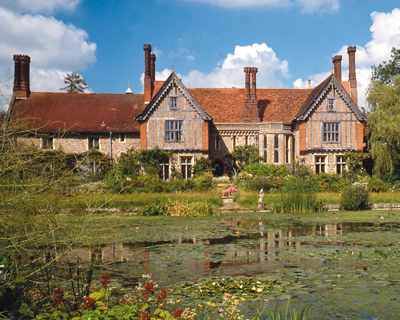 Groombridge Place is a moated manor house built in 1662 by Philip Packer to a design partly owed to Sir Christopher Wren. The house sits in an AONB and is surrounded by 17th-century formal gardens. 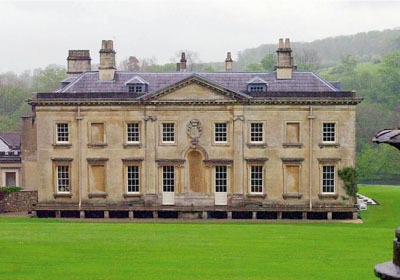 It has featured several times as a film location, most recently as the Bennets’ Longbourn Manor in the Joe Wright adaptation of Pride and Prejudice. a walled garden, orchid house and a ‘puffing’ topiary dragon hidden in woodland, Houghton Lodge is an 18th-century cottage ornée built originally as a fishing lodge by an anony-mous architect. Another favourite for film locations, the house-with its ‘rustic gothic’ interiors-and grounds have featured in The Buccaneers, David Copperfield and Wilde. 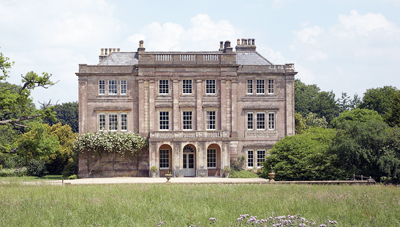 Home to the same family for four gene-rations, Hole Park is set on the rolling High Weald in 15 acres of garden looking over 200 acres of parkland. Constructed in 1720, Hole Park was remodelled in 1830 before being reduced again to the size of a comfortable family house in 1959. Just 20 minutes’ drive from Plymouth, Grade I-listed Puslinch is set away from the road up a wooded track and has far-reaching views of the Yealm valley. The house has been thoroughly and sensitively updated by the new owners, whose four children are all under five. 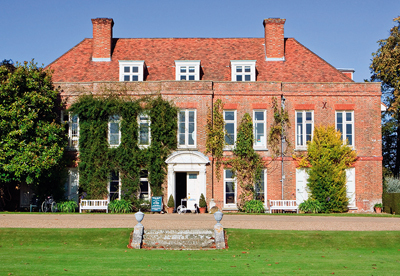 The grounds include all the ‘toys’: walled and formal gardens, a tennis court and swimming pool. Approached along a sweeping drive through its own parkland, Southill House has also recently been renovated by new owners into a modern family home. 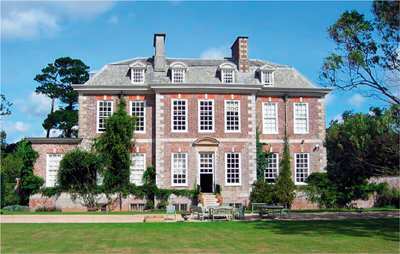 The Grade I-listed manor house, with its mellow Somerset contours and Ashlar façade, dates from the early 18th century. 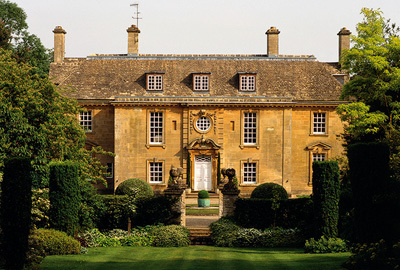 A Grade I-listed Georgian manor house, Combe Hay is set within the Cotswolds AONB. The present owner has transformed it from a traditional country house with nine bedrooms and two bathrooms into a perfect family home. The family has also undertaken a major conservation programme, restoring 250 acres of parkland and planting 15,000 trees.